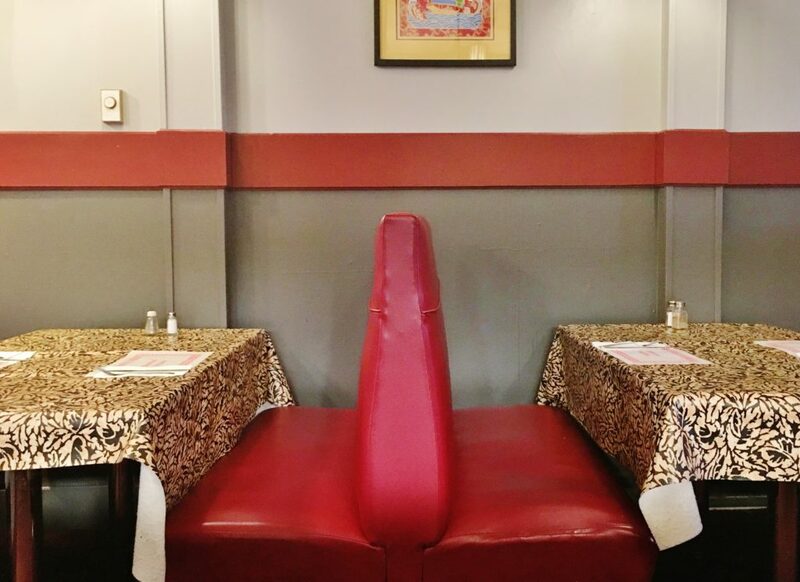 Appetizing restaurant food isn’t confined to downtown St. John’s. This year I’ve found pretty decent food, prepared by competent cooks, in several strip malls around town. RJ Pinoy, Freshii and Wedgwood Café come to mind immediately. Sequerra’s, located in the Holiday Lanes strip mall on Elizabeth Avenue, between the Great Canadian Dollar Store and Desi Meal Restaurant, was the site of our latest mall meal. Not that it was easy to find. Sequerra’s familiar outdoor signage was gone when spouse and I were trying to find it. Eventually, we figured out that our destination was the darkest quarter of the dimly lit strip. Once inside, the gloom subsided as our focus became the restaurant’s buffet station, which glowed yellow at the centre of Sequerra’s – a modern bistro version of a bright, crackling fire heating its pot of communal supper. Being a typical (that’s to say, attractive) cornucopia, plenty of hungry punters were dipping in as we quietly slipped into one of Sequerra’s vintage, red booths. Sequerra’s has a menu of about 40 dishes that’s offered for dining-in and take-out orders. I suspect that that menu is really a take-out menu, because, from what I’ve seen, 99.9 percent of Sequerra’s dine-in crowd are there for the buffet. It’s available weekdays from 12 p.m. to 2 p.m. for lunch, and Wednesday to Saturday from 4:30 p.m. to 8 p.m. for dinner. 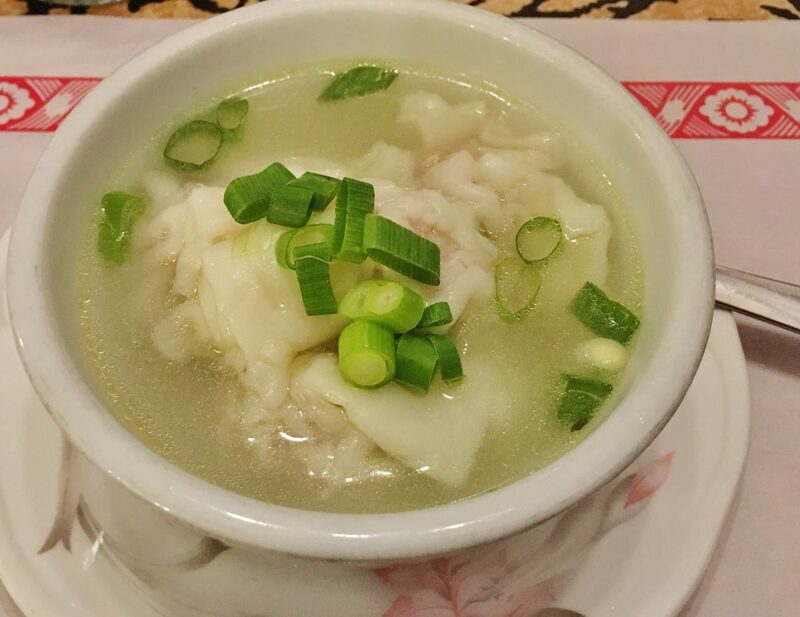 If it’s really good, wonton soup can be a harbinger of a full line-up of good tasting buffet dishes. In my experience, when a restaurant takes the time to create a delicious soup, everything else usually tastes good too. Sequerra’s wonton soup’s pork dumplings were wrapped in delicate pasta that seemed to almost evaporate as it revealed a rich tasting combination of minced pork, onions and soy sauce. 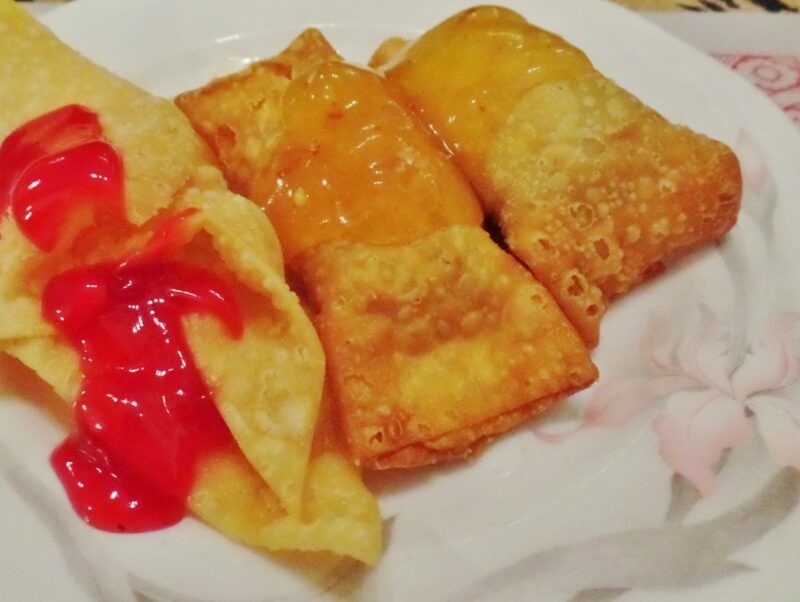 Sequerra’s fried wontons and egg rolls shared the same plate, the former daubed with a little sweet and sour sauce, the latter vegetable stuffed packages, with plum sauce. Both were crisp and crunchy, but the plain wontons veered toward super crispy. 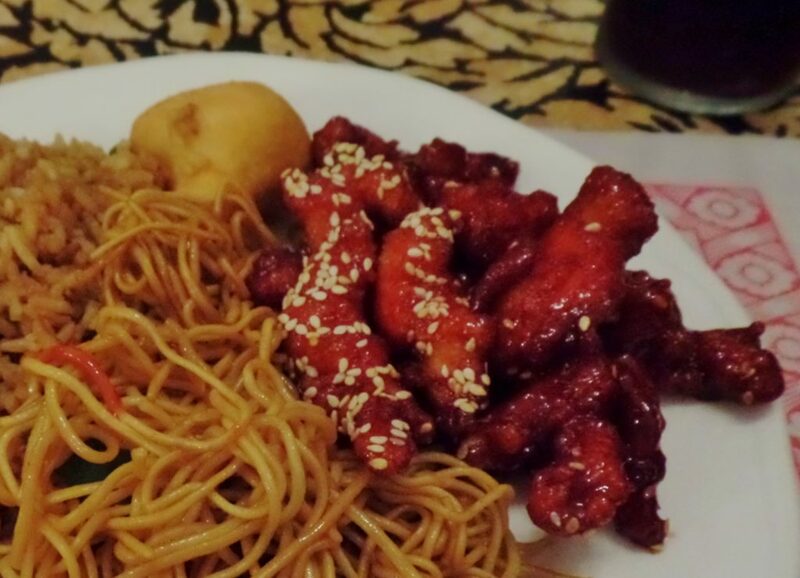 General chicken (or General Tso’s Chicken) like most Chinese food in North America, did not originate in China. Sequerra’s serves the sweeter version invented – or so it’s been claimed – at Peng’s Restaurant in New York City. General Tso’s is really about two things, making sure the boneless fried chicken pieces aren’t overcooked (the meat should be juicy) and getting the right amount of chili pepper in the sauce. I had Sequerra’s version with sautéed noodles. While the chicken had crunch and was mostly tender, I thought some of the smaller pieces (perhaps too small) were slightly overcooked. And, Tso’s familiar red dressing needed more kick. Sweet, but not especially spicy is how I’d describe the sauce. Sequerra’s Cantonese pork, also known as sweet and sour pork, was right in every way. Succulent slices of pork, with crisp exterior, were evenly coated with a tangy, sweet, tomato edged sauce. 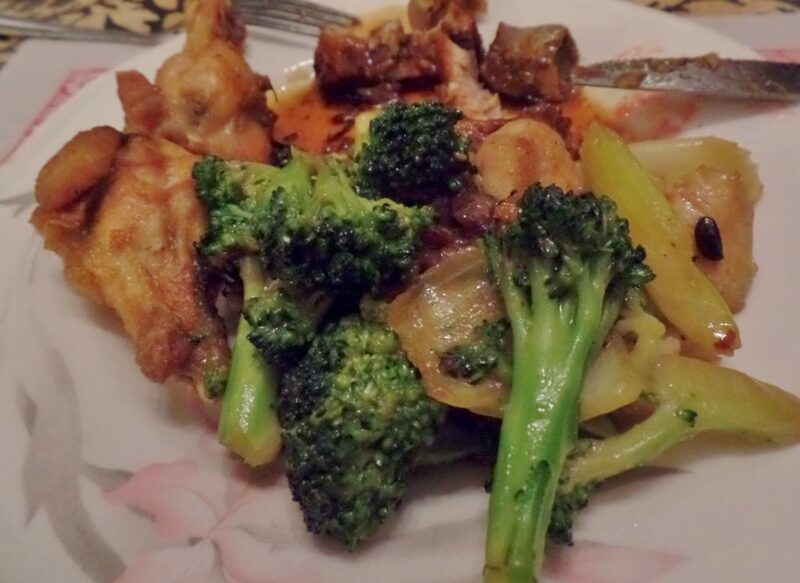 I balanced it with some chicken chop suey, which was also very good – a simple dish, mostly cabbage with some julienned sweet red pepper, and cubes of tender chicken breast meat. Two more dishes impressed. Beef with broccoli featured beautifully green, al dente florets with thin-sliced, richly flavoured steak. Another stir-fry combined fresh chicken, a variety of crisp vegetables, and black beans. Back in the days before the hand held calculator was invented, there was a popular dessert in Newfoundland called, blancmange. It was ridiculously simple to make, given how good it tasted. You just stirred together warmed milk and sugar, thickened it with cornstarch, and chilled. 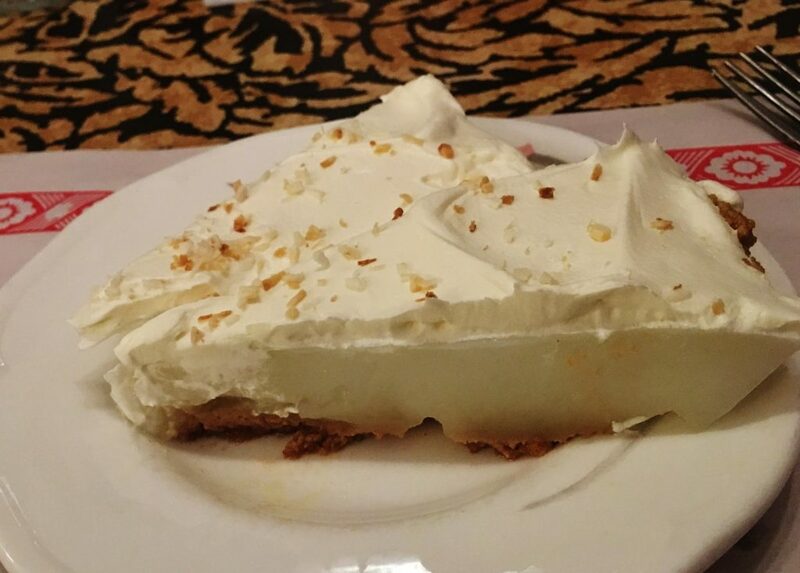 After one bite I discovered that Sequerra’s Chinese coconut cream pie was blancmange in a graham cracker crust, with whipped topping and toasted coconut on top. It was neither too rich, nor too sweet. I loved it. 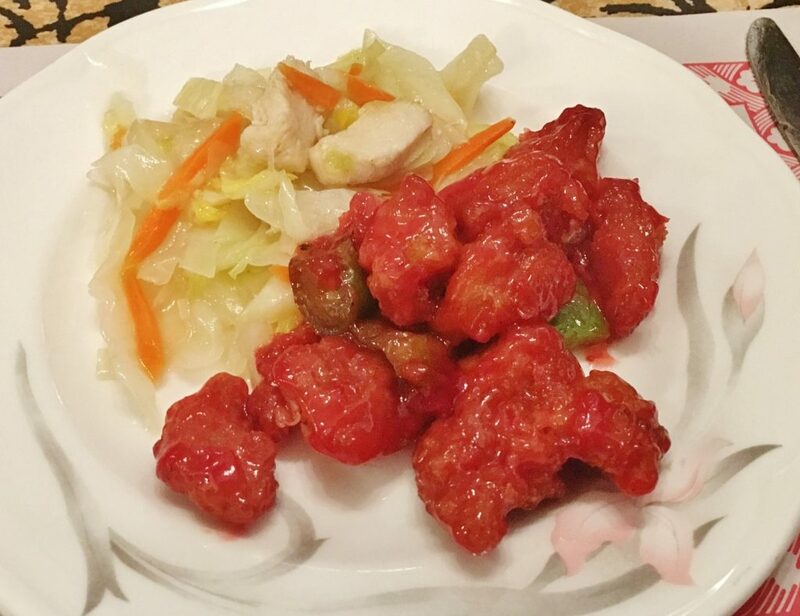 Sequerra’s buffet is highly recommended if you’re looking for satisfying Canadian Chinese cuisine at affordable prices. Lunch costs $13.99 and dinner, $19.99. Price Buffet dinner for two with soft drinks, tax and tip costs (approximately) $55. Atmosphere Sequerra’s is a typical, relaxed, neighbourhood family diner where customers enjoy the staff and the food in equal measure. Beverages Sequerra’s is fully licensed and offers a small selection of wines and beers, as well as soft drinks and juices. Wheelchair access Some assistance may be required at entrance. Once inside, upper level tables are accessible (with assistance) via a very steep ramp. Sequerra’s restroom is large, but I saw no grab bars.